I can’t believe how long it has taken me to write this post! 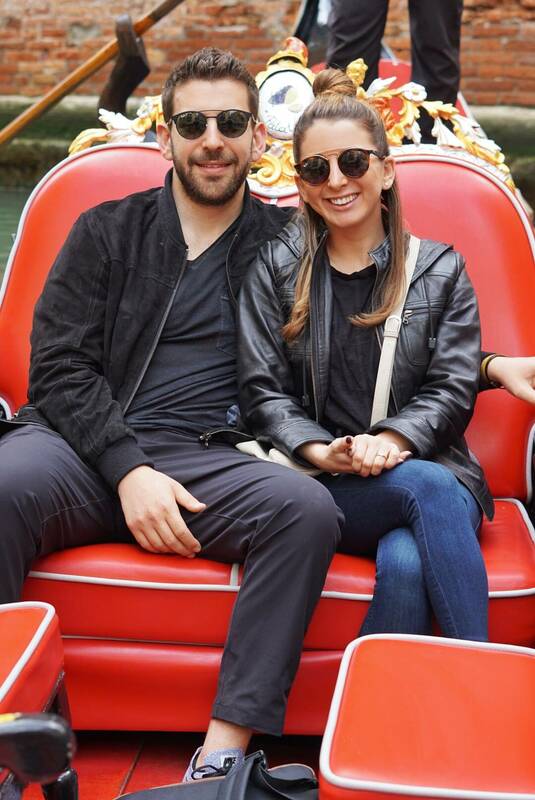 I apologize for all those who have been patiently waiting for our Italy recap!!! We ended up going to Rome, Florence, and a day trip to Venice. If you remember, we were all booked for Cinque Terre but weather held us off from going so we quickly changed our plan last minute (travel pro tip #1: don’t be obsessively tied to your schedule)! P.S. here is the travel camera and the lens that I used for all of the photography (note: this is a macro lens which I love, but that means there is no zoom, so you have to step further away from your subject. We took a red eye with Alitalia airlines, Boston to Rome FCO and arrived at 11:50 AM! We flew home with Alitalia airlines, Rome FCO to Boston, getting home at 6:20 PM. We took the train from Rome Termini to Florence. We took the train from Florence to Venice. Mike and I flew into Rome and really had so much fun exploring the city. We were there during the Rome Marathon so that was pretty cool to see. We stayed at the most gorgeous hotel, and did all the tourist-y things you just need to do your first time there! 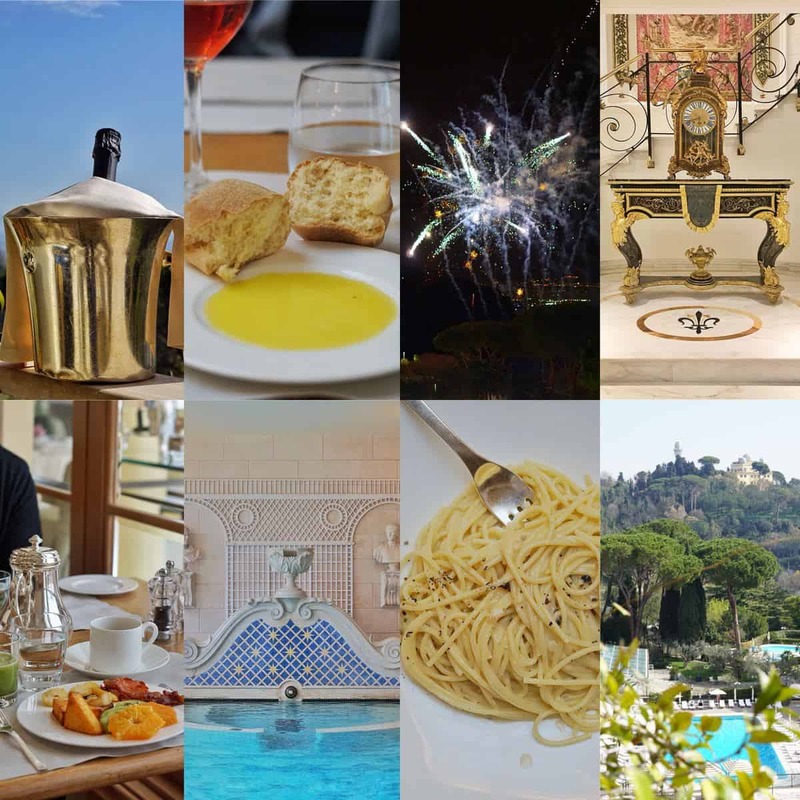 We stayed at the amazing Rome Cavalieri, a Waldorf Astoria Resort which is situated in a 15-acre private Mediterranean park, overlooking Rome and the Vatican City. It’s located in a prestigious residential area of Rome, just 3 km from the Vatican City and 5 km from the historic city centre and it’s numerous attractions. It’s a quick train stop or Uber ride to the center of things, within proximity to city center! I loved this hotel so much. It’s the home of the famous La Pergola Restaurant & Bar, which is the only hotel in Italy to boast a Michelin-rated three star restaurant. The stylish roof terrace offers panoramic views across the city. We enjoyed an amazing dinner at L’Uliveto Restaurant, located at the hotel – overlooking the landscaped park and outdoor pool, this restaurant serves a full menu of Mediterranean and international dishes. The hotel bar in the lobby served up the largest (and delicious) espresso martinis! The pool and spa were unbelievable, and was a total vacation in the hustle-bustle of Rome, since you are not staying right in the center of the city but for sure within proximity to city center! 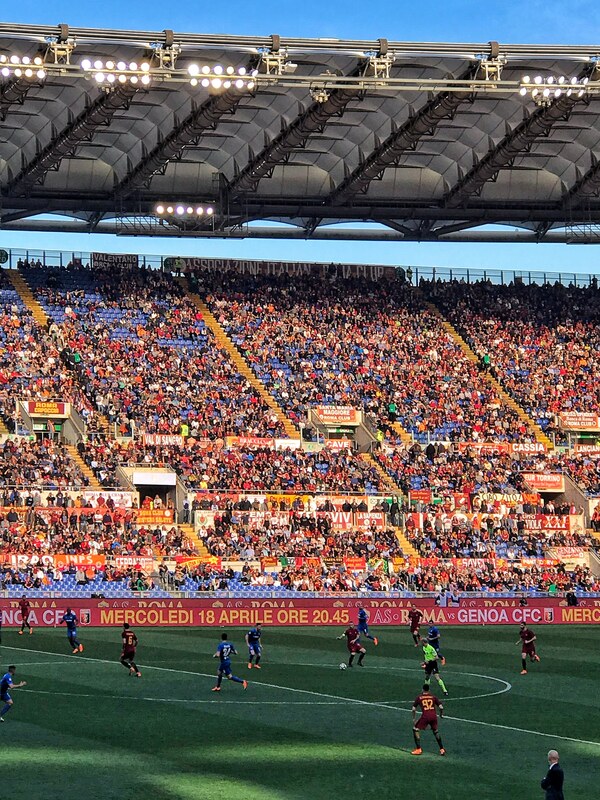 We bought tickets (in advance) to a Roma vs. Fiorentina Futból game at Stadio Olympico which was SUCH a cool experience. It was really fun to see how another country experiences sports games, and it was kind of like how we do! Fun Fact: Different from American culture, nobody was drinking much or getting drunk at the game, but plenty of singing and cheering and fun all around, just like in the US. 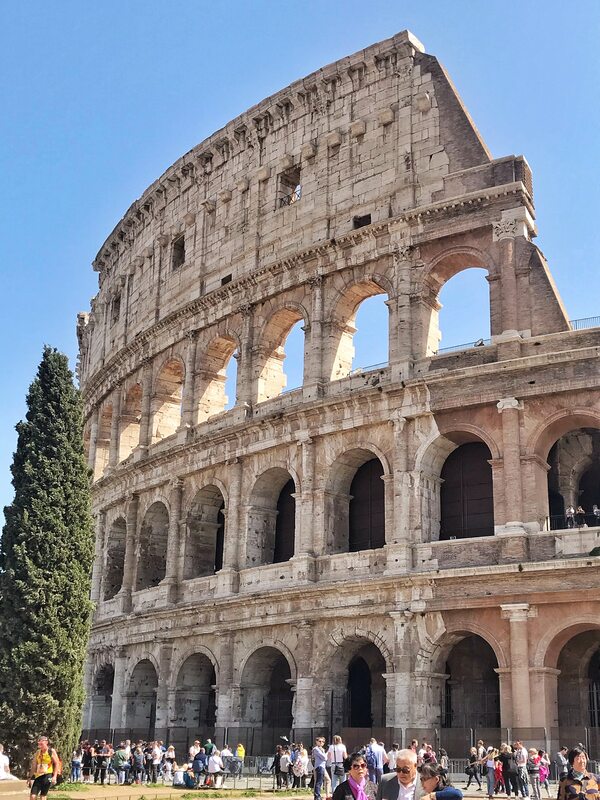 We did the “Caesar Shuffle”, as they call it, exploring from the Colosseum to the Forum, Capitoline Museums, Victor Emmanuel Monument viewpoint, and Pantheon. We bought tickets to the Colosseum online so we were able to cut the line. Vatican City — St. Peter’s Basilica and Vatican Museums, which was SUPER hectic, but special, since I studied Art History in undergrad. 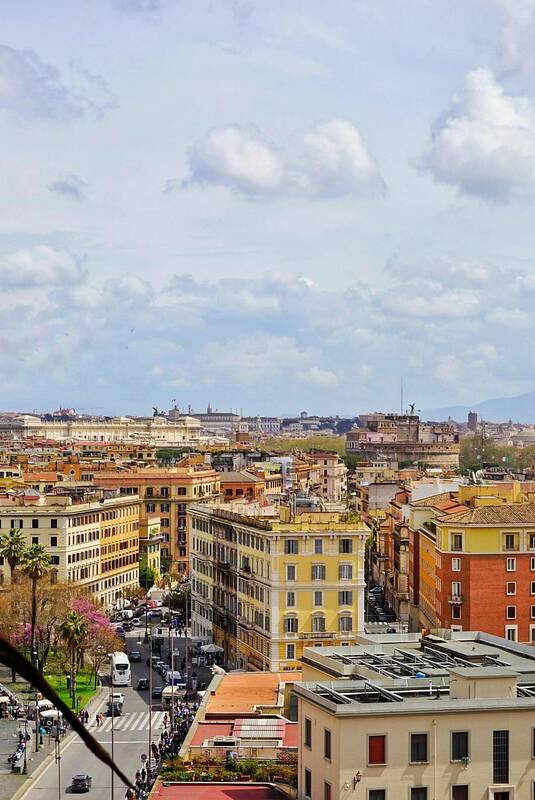 We did what they call the “Dolce Vita Stroll” along Via del Corso (start at Piazza del Popolo and end up at Piazza Venezia for great sunset views) — also see the Spanish Steps while around there! Honestly, I don’t know if we did it wrong, because I’ve heard people love the food, but I wasn’t crazy impressed with the food in Rome as I was in Florence. Here are a few stand out spots that we loved. Voglia di Pizza: Amazing Gluten-Free Pizza + inexpensive wine. La Proscuitteria Trevi: Small hole in the wall with amazing chopped salads and epic charcuterie platters. Dinner at L’Uliveto at Rome Cavalieri: This meal was amazing! Dinner in Trastevere (area in Rome): I wasn’t in love with where we ate, but was in love with the area and recommend dinner and exploring the area. Gelato For Days: Geletaria La Romana was pretty amazing! 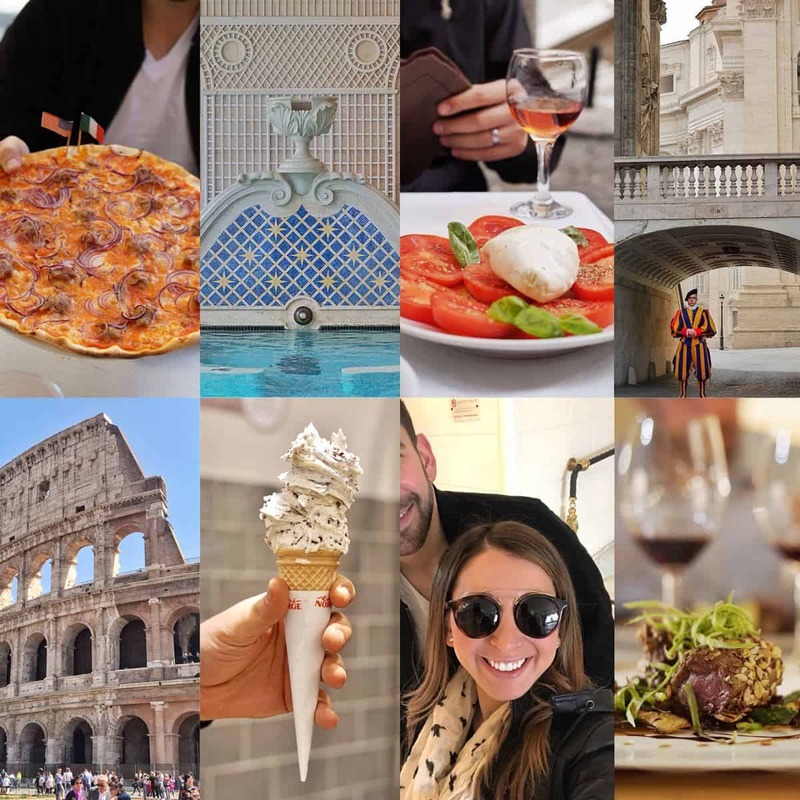 Places we didn’t go that were recommended (not gluten-free per say): Pierre Luigi Taverna Antonina, Spirito Divino, Ristorante Le Cave, Dar Poeta, Taverna Trilussa, Ginger Sapori E Salute, La Scala- Ristorante in Trastevere, Nonna Betta, Roscioli Ristorante Salumeria, Osteria Zi’ Umberto, Giolitti, Old Bridge Gelato. Florence was hands down my favorite of the three places that we visited. I loved that it was a walkable city, unlike Rome where I felt like we were constantly Ubering (is that a word?) everywhere. I loved the food, the culture, the art, and the atmosphere in Florence so much. As I mentioned, I studied Art History for my undergraduate degree, and this was always a place I wanted to visit. In college when everyone went abroad, finances kept me back from going, so I am so grateful I finally was able to visit a place I learned so much about and really wanted to experience! Gluten-Free Pizza at Ciro & Sons — SO good! We decided to stay in an AirBNB, to switch it up from hotel life in Rome, and honestly, I regret it. I loved the location of our AirBNB (literally right down the block from the Duomo), but after walking around all day and having jam packed days and a filled schedule, I think it’s nice to come home to fresh towels and a made bed, you know? Especially since we weren’t planning on cooking in the apartment or anything like that. So if I were to do it again, I’d personally go for a hotel. Just my two cents. When I travel within the U.S., I love AirBNB, but for traveling abroad, I think I prefer hotels 100%. 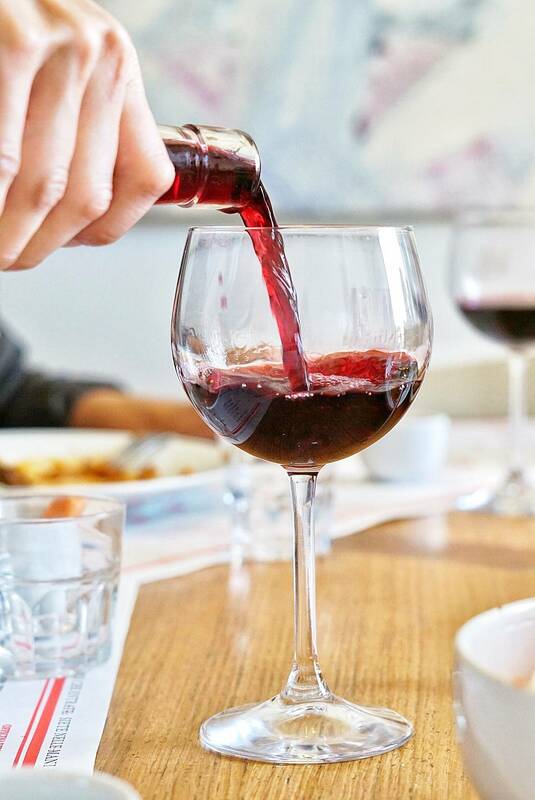 Tuscany Day Trip: We did this though “Tuscany in a bottle”, and did the Super Chianti option. 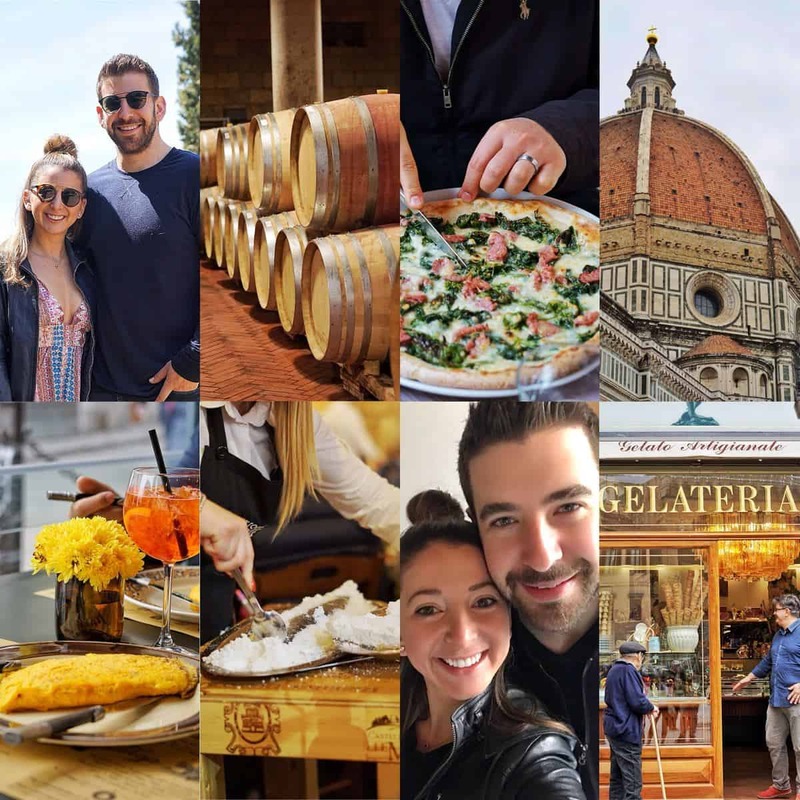 This day was so amazing and I highly recommend adding this to your list of things to do while in Florence. 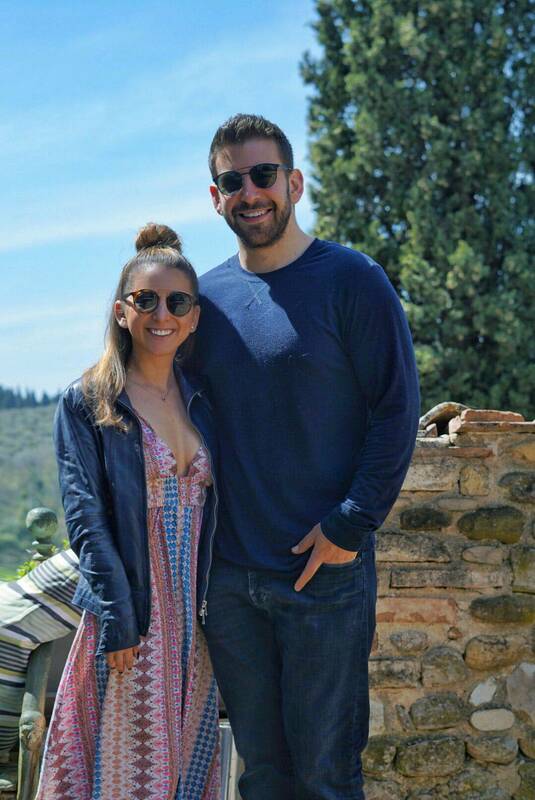 We ate great food, drank great wine, and had a lovely day in Tuscany. Academia (David) — make a reservation! Uffizi Gallery (unforgettable paintings) — make a reservation! San Lorenzo Market area, shop, and have lunch in or near Mercato Centrale. Shop the leather district! 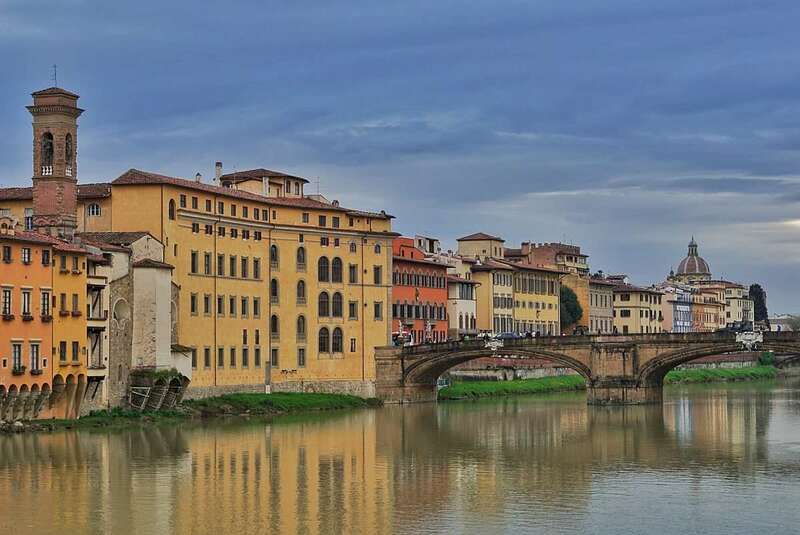 Explore and shop the Piazza della Signoria/Ponte Vecchio area. Osteria del Cinghiale Bianco: An amazing dinner on the other side of the Ponte Vecchio. La Giostra: Another amazing, romantic meal near the Duomo. Ciro and Sons – Restaurant Pizzeria Firenze: We came here twice for amazing gluten-free pizza and food. The owners are unbelievably hospitable. I loved it so much! Trattoria ZaZa: Get the truffle omelet and an Aperol Spritz or two! 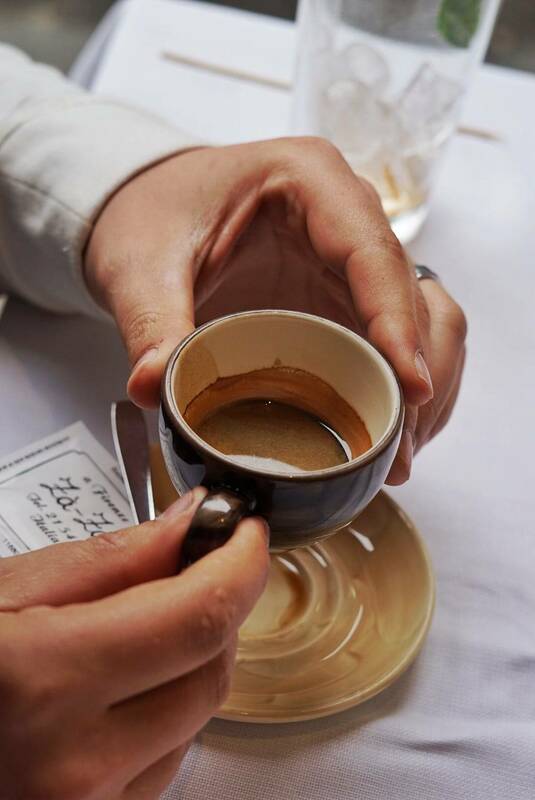 Places we didn’t go that were recommended (not gluten-free per say): Acqua al Due, Gusta Pizza, Gusta Panino, Gusta Osteria, Fishling Lab, Il Latini, Sostanza, Brindellone, Oil Shoppe. As I mentioned, we had train tickets and an AirBNB booked in Cinque Terre but last minute had to change our plan due to weather (bummer), however we made the best of it, went to Florence a few days early, and booked a train ticket for a day trip to Venice. Man, did that city blow my mind. The colors, the charm; it was truly breathtaking and so romantic. As much as I loved our day in Venice, I was content with one day there, and so was Mike. I didn’t feel like I needed multiple days, but if I did, I would have planned an excursion to see some Murano Glass! Since this trip was rather last minute, we kept it casual and went with the flow (not my usual planner self), and it was actually so perfect. 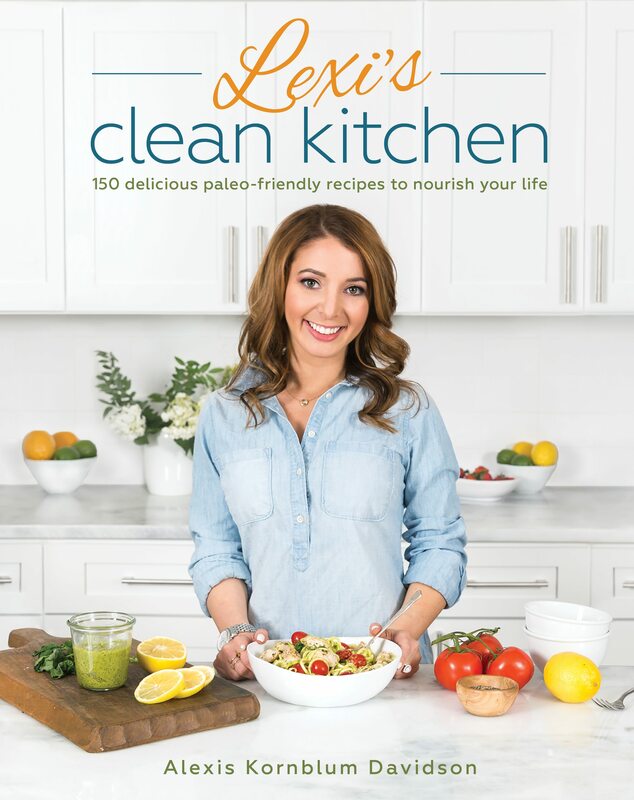 So while I don’t have amazing food recommendations for you, I’ll share a bit of what we did! Gondola Ride: Highly recommend this! We did this in the quiet areas of Venice and not in the crazy touristy part and it was pure magic. 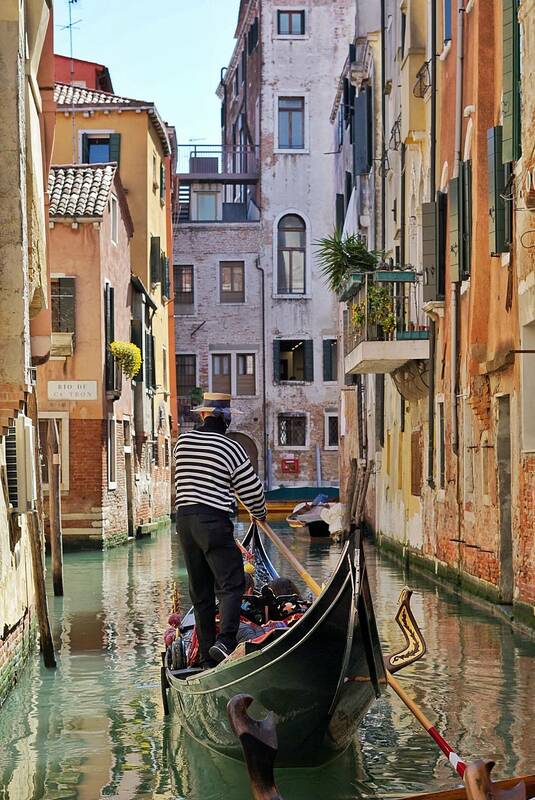 Our amazing Gondola driver sang beautiful songs to us while navigating the tiny water streets and it was so special. Lunch: We stumbled upon a random restaurant and it was yummy. I’d do some research for food here. We just winged it. Walked the entire proximity of Venice! Gelato: I don’t remember where, we stumbled into a spot and it was yummy! Rooftop cocktails and espresso by Piazza San Marco (overpriced but the view was gorgeous). We liked the quieter streets better than this area, though, as it was crowded and more touristy. Those who have traveled here, what would you add to this list of places to go and places to eat? Canyon Ranch Lenox: Weekend Getaway Hampton’s Retreat It’s Official! Getting a Dog 101 & Happy 3rd Birthday Jax! 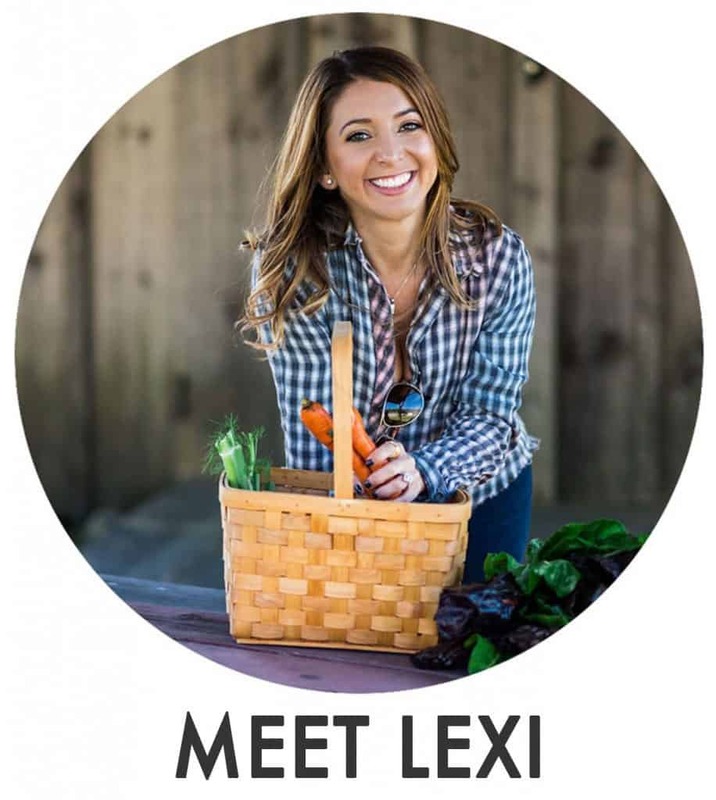 Hi Lexi – totally agree with you on wanting to come home to a made bed after a day of exploring – we learned this about ourselves after trying Airbnbs on a Central European trip a few years ago. I was wondering if you found the camera you used, the Sony a6000, to be comparable or lightyears better than a camera on an iPhone 7/8? Your pictures came out phenomenal and I am headed back to Europe on a trip next week and wondering if it’s worth the investment or if the trusty camera phone would do just as well. Do you mind sharing which lenses you found to be most useful for these travel pictures? Thank you for sharing your trip with us here! A million times, YES!!! I just linked to it in the first paragraph of the post!!! We too LOVED Florence! We did a day and a half and needed more! We also did a day and a half in Rome and saw as much as we could and really liked the Vatican and Coliseum. I would go back for a few more of the famous spots but not a must return. 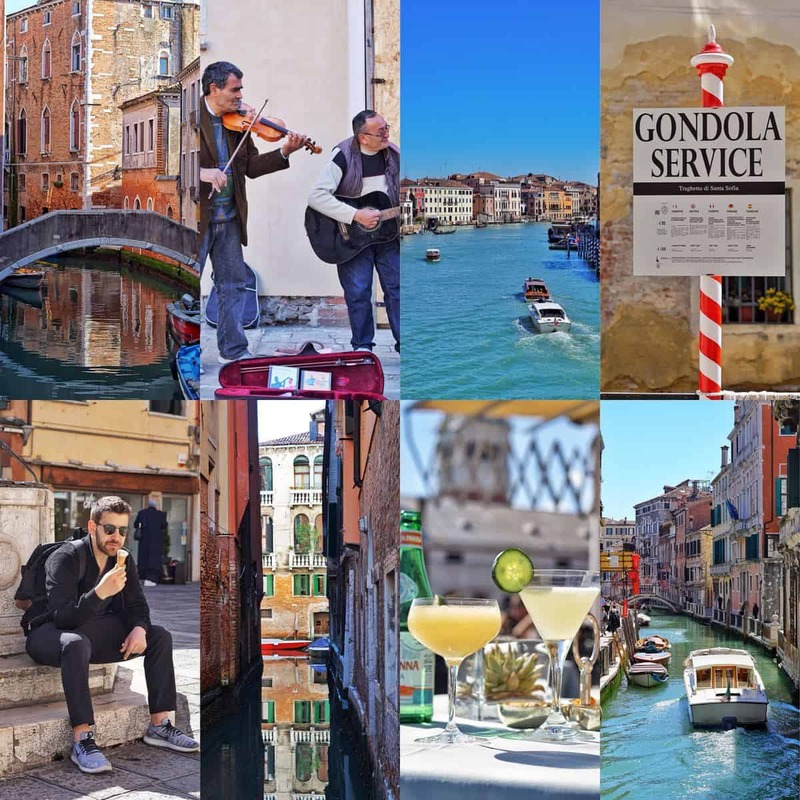 We want to do a day trip to Venice but will probably stay more Tuscan region because we enjoyed it so much! We stayed in a small town outside of Florence and took the short train ride to the city. We took the sped train to Rome and that was a great way to travel! How cool would it be to have that here in the states? We are planning a return trip in the next year and cannot wait to go back!! Great recap Lexi! My husband and I went to the same three cities not long after you went. We absolutely loved all three cities! 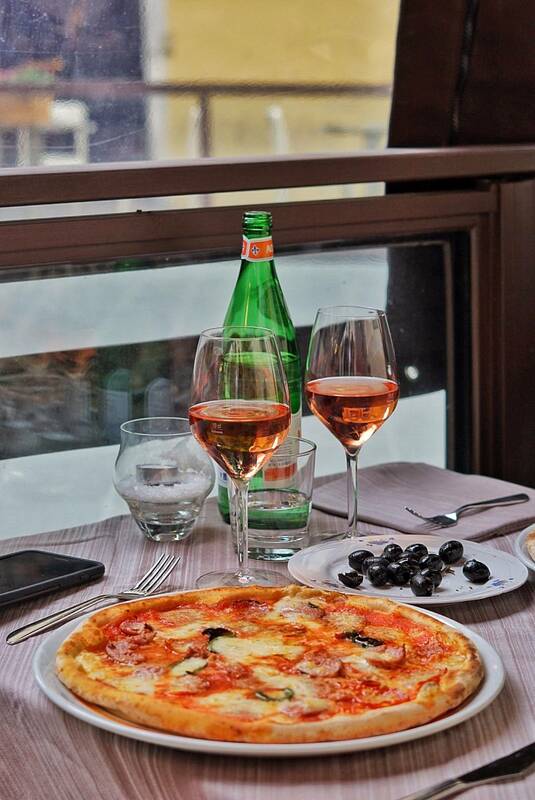 Our favorite restaurants in Florence were Trattoria Dall’Oste and Gusta Pizza!! 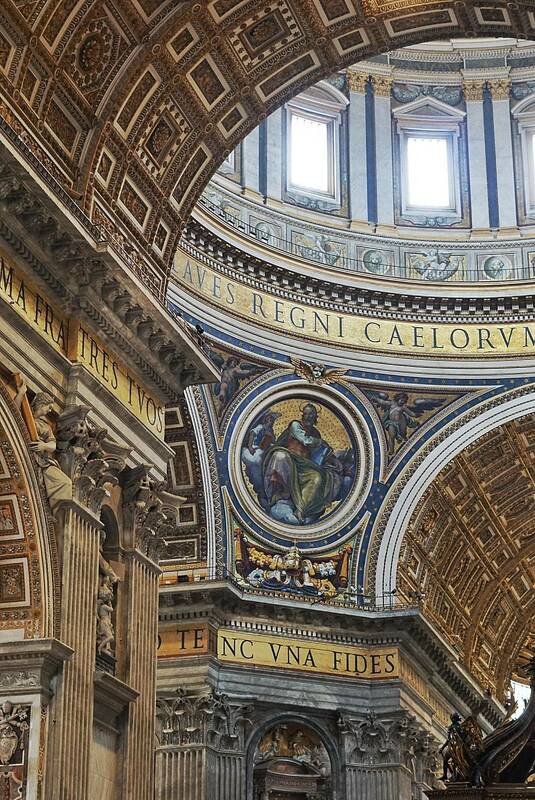 I HIGHLY recommend a tour of the Vatican in Rome with “Walks of italy” tours for which you pay a premium to skip the line!! 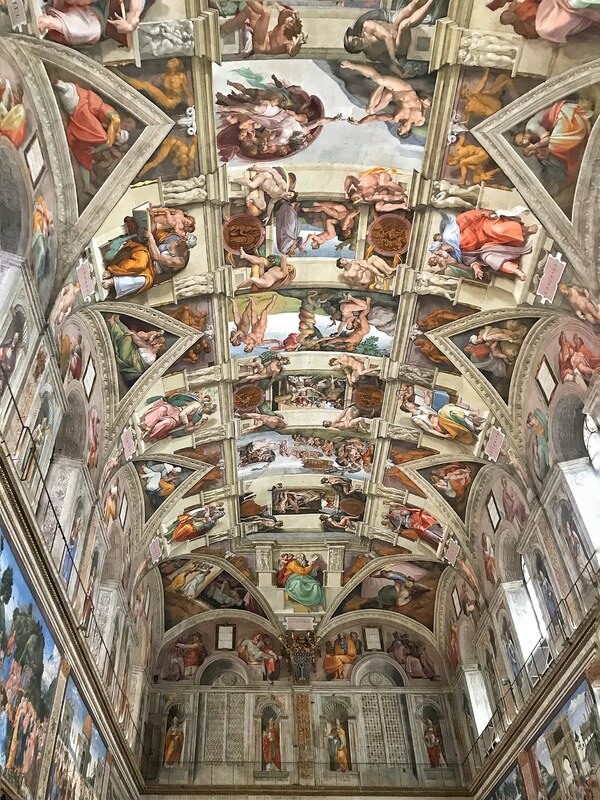 We went first thing in the morning and got to see the Sistine Chapel without all the crowds. That is a really good point about the perks of hotel stay internationally. We considered air bnb so that’s makes me glad we did’nt. Amazing photos and food recap! I did a trip to Italy 15 years ago with my parents, and I relived a lot of good memories through your recap. Question: was it easy to find gluten free meals? 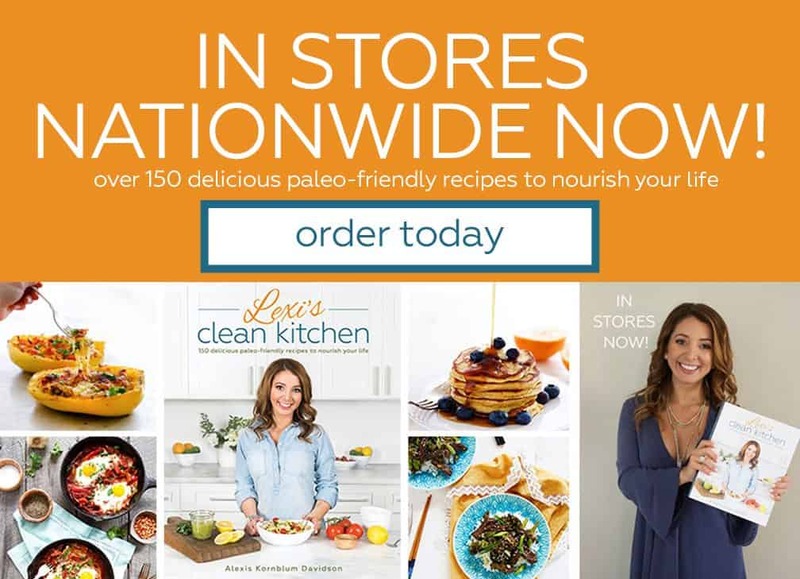 Is it a thing in Italy, as it is in the U.S.?